Canary Flex lives up to its name of being flexible: it can run on battery or AC power, allowing you to use it anywhere. But how long does the Canary Flex battery life typically last? Let’s look into the details and see how you can use the camera around your home. On average, the Canary Flex battery life is two to three months of normal use. Canary calls the Canary Flex lithium ion battery an “extended-life rechargeable battery.” It only draws battery power when unplugged, so if you leave it plugged in at all times, it will use the battery as a backup power source. Canary Flex also uses a passive infrared sensor. 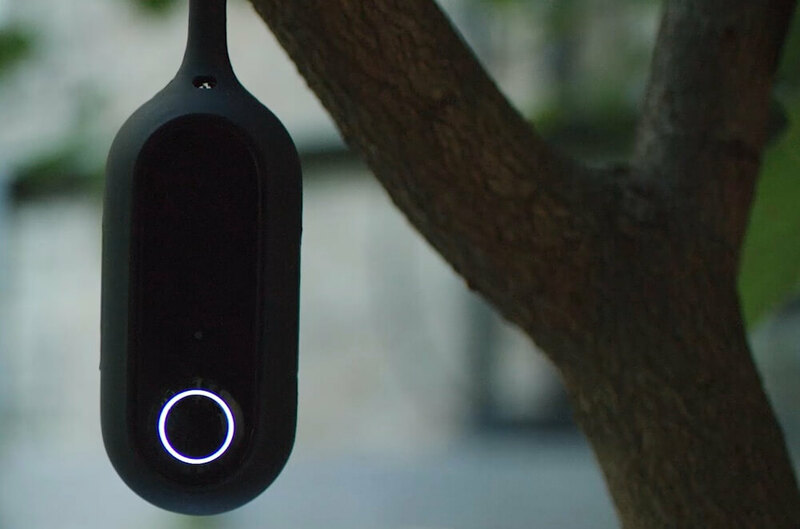 When the sensor sees motion, it activates Canary Flex’s camera and tells it to communicate with the servers, greatly reducing its battery usage when no motion is present. In other words, Canary Flex spends most of its time in sleep mode. The battery status is always available within Canary’s app, and low battery alerts will notify you when it needs to be recharged. When it’s time to recharge, you can use the included propriety charging prong to give the battery a boost. Only have the camera alert you of motion when everyone is away from home by enabling geofencing. This uses the location of your phone to know when you come and go. Limit the number of times you check its live status. If you’re always pulling a live feed of your camera, it drains the battery life. Extreme weather can also drain the battery life faster. Since Canary Flex is easy to move, you can bring it indoors when the temperature is very high or low. If you’d rather not deal with recharging the battery, you can still opt for plugging in your Canary Flex instead. One important note is that, while the USB cable that it comes with is weatherproof, the power adaptor that plugs into the wall is not. This means that you need to get a waterproof outlet cover to protect the AC adaptor if you decide to plug in Canary Flex. There are some big advantages to plugging in the Canary Flex. First, when you want to view a live feed of the camera in the app, Canary Flex can give you a faster live view from the camera when it’s plugged in. This is because it’s not in sleep mode, but is always on. 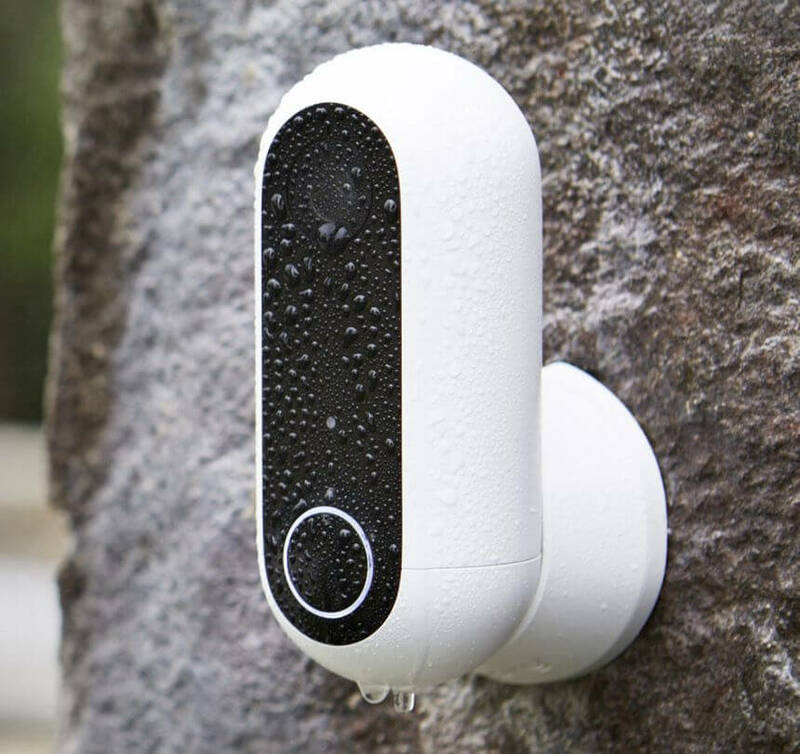 We compared this device with a few other outdoor security cameras in our article Nest Cam vs Canary Flex vs Arlo Pro. There are some strong advantages and disadvantages. For example, the Arlo Pro has 7 days of free cloud storage, which is much more generous. But it also requires a base station (similar to a hub) to plug into your router. Head to that comparison for all of the details on the other cameras. What are your experiences with Canary Flex battery life? Let us know in the comments below. I must have a defective Flex cam since my battery last about two weeks. Sensitivity is down to two and the camera is at a second home, so we are not always there. Somethings seriously wrong???? Can you use Masking with the flex?